On Hipmunk: I found the cheapest flights here, which is awesome, because I love this website: Flights as low as $762 w/stopovers bookable on Hipmunk.com. 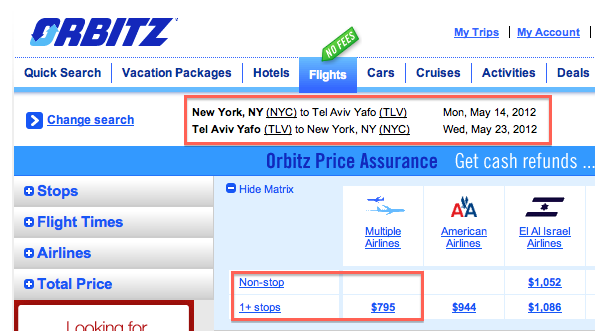 On Orbitz: Flights as low as $795 w/stopovers; $857 direct non-stop bookable on Orbitz.com or consider contacting your local travel agent. Most of these deals are in May, and in case you were wondering, Lag Ba'Omer is May 10th.